As has become an annual activity for our organization, before we ring in the new year, we take a look back at events, projects and moments from 2014 that have impacted the health care scene in our communities and our nation. 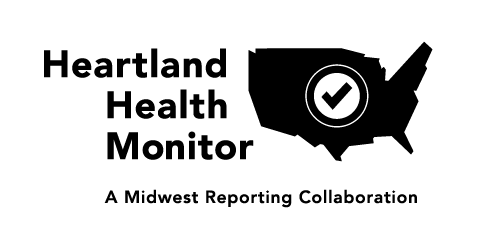 On day four of our Year In Review series, Health Forward Communications Officer Jennifer Sykes presents the Heartland Health Monitor, a joint effort between four, local, not-for-profit news organizations that should have all of us excited about health journalism. Although many people, pointing to the rise of the internet and social media, have predicted the demise of journalism, we’ve yet to truly see that happen. In fact, the internet, long the culprit of this gloomy forecast, has actually brought a new level of energy to the news industry not seen in a long time, leaving us with many reasons to be optimistic about the future of journalism. Digital players have exploded onto the news scene. Pulitzer Prize winning reporters are working at outlets such as BuzzFeed, a site once scoffed at for its content. One of my favorite journalists to report on health policy, Ezra Klein, left the Washington Post for Vox, a technology company that produces media, as opposed to a media company that uses technology. Locally, four not-for-profit news organizations announced in 2014 they were joining forces in an extraordinary effort to cover health and health care news across Missouri and Kansas. The Heartland Health Monitor is a joint effort between KCUR public radio, Kansas City Public Television’s Hale Center for Journalism, the Kansas Health Institute News Service and Kansas Public Radio. 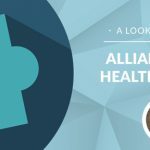 The cooperative allows these organizations to reduce redundancies in coverage and instead cover health in the bi-state area in greater depth and breadth than any one organization can do alone. And it gives them a greater reach with far greater impact. Because of gaps in coverage by traditional media, similar not-for-profit journalism operations focused on health have sprung up across the country. But this takes that concept to a new level by reaching across a state line that bisects a major metropolitan area to provide thorough coverage of urban, suburban, rural and statewide health issues in both Kansas and Missouri. Efforts in 2014 were focused more on Greater Kansas City and the state of Kansas but looking ahead, the partnership plans to broaden its focus to other regions in Missouri. Additionally there are plans to focus energies on reaching out to communities in the Health Forward service area to better serve and engage them in conversations about health. A democracy depends on its citizens having reliable, accurate information. Health is a topic that involves so many sectors — government, private and non-profit sector — and has a profound impact on our local and national economy. It is critical that we have strong health reporting to help us in our work to eliminate barriers and promote quality health. Health Forward is proud to support the Heartland Health Monitor to enable them to cover health effectively and meaningfully in our service area.